Next week there'll be a whole glut of big releases landing on our doorstep, but that's no reason not to get involved with all of the latest new games on the Xbox Store, as there are some pretty intriguing ones worth checking out. 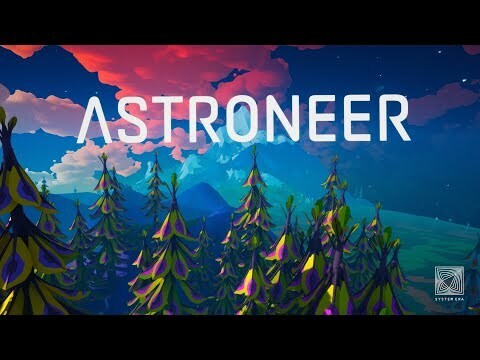 Like the full release of Astroneer, which finally leaves Xbox Game Preview after just over two years. Apex Legends also launched earlier this week, seeing Titanfall dev Respawn have a crack at battle royale, with hugely successful results. At time of writing, it's at 10 million players and counting. There's a brand new Xbox Game Pass addition too, in the shape of the trick-popping Pumped BMX Pro. Salt and Sanctuary also arrives on Xbox One, alongside feelgood adventure Away: Journey to the Unexpected, and more dirt bike thrills and spills in Monster Energy Supercross 2. Spike Volleyball also serves up, well, some volleyball, and 39 Days to Mars provides its own quirky adventure to discover. There's a whole load of other stuff to check out too, including the new Band of Bastards DLC for Kingdom Come: Deliverance, the free Devil May Cry 5 Demo, and more, more, more! Take a look at the latest Xbox Store content below.